The increase in green awareness among travellers and the search for less environmental impact means that the sector is looking with greater interest at this type of energy system, which is clean, sustainable and efficient. 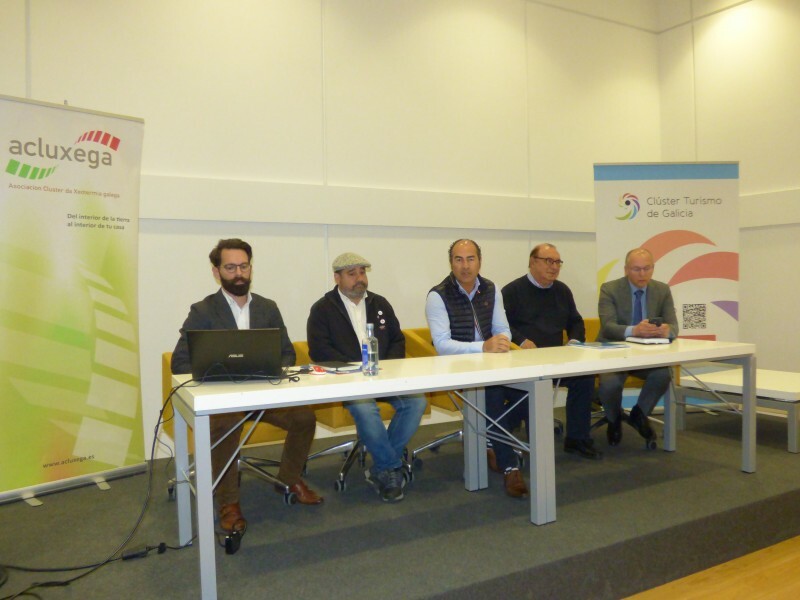 Competitiveness and energy efficiency were the terms most used in the day of improvement of sustainability in tourism enterprises held in Santiago de Compostela under the baton of the Galician Geothermal Cluster and the Galician Tourism Cluster. About thirty professionals came together in this meeting with the aim of approaching the advantages of the installation of this type of renewable energy, which has a wide margin for improvement and implementation in Galicia. This was explained by the president of Acluxega, Manuel López, who highlighted with practical examples the great advantages of the bet for geothermal energy whose implementation cost is somewhat higher than that of other systems but with a very fast return on investment. But beyond the cost, the experts who participated in the conference highlighted the improvement in competitiveness and the environmental cost of betting on this green energy as an alternative to traditional ones. “Green sells more and more because society and the traveller is increasingly aware of climate change,” explained López, “so we have to value the implementation of these measures of energy efficiency, recycling and use of recyclable elements in hotels,” he explained. Gerardo Rodríguez, an EnergyLab expert, also had an impact on this aspect. He highlighted the increase in sustainable tourism and the objectives set by the UNWTO in the medium and long term for decarbonisation and improving the sustainability of companies. In this sense, Eusebio Vázquez, professor at the Uvigo, focused his intervention on an approach to the basic concepts of the operation and installation processes of geothermal energy as an alternative to the rise in dispersed territories such as Galicia and where the land is especially suitable for the prospecting work required for the installation of heat pumps. The advantages of using this type of installation are many: no visual, sound and olfactory impact, clean, indigenous and efficient energy, which does not depend on weather conditions (wind/sun), highly efficient and with a very low maintenance cost. The day was completed with practical examples of geothermal installations in Galicia, from rural tourism houses and hostels, such as Bela Muxia, to hotels such as Quinta da Auga, buildings, private homes or even business parks such as Porto do Molle in Nigrán, which has the highest geothermal power installed in Spain to date. More than 58% arrived on Holy Thursday, with peaks of more than 2,000 walkers per day during the holidays, according to the Pilgrim’s Office. The Portuguese and Portuguese Coastal Trail are the second and third busiest routes behind the French Trail. 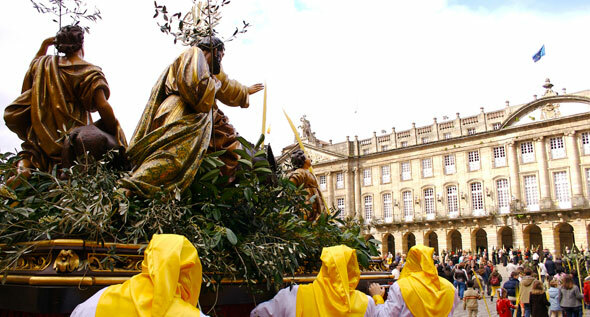 The Pilgrim’s Way to Santiago grew by 61.34% during this Holy Week compared to 2018, which had been celebrated at the end of March. According to data from the Pilgrim’s Office, between Friday and Sunday a total of 13,969 walkers picked up the Compostela. Most of them arrived on Holy Thursday. In total, in those four days, there were more than 8,000 pilgrims, which represented 58.41% of the total and peaks of more than 2,000 daily in days such as Friday and Saturday. Throughout Holy Week, most of the pilgrims came from abroad. In fact, 51.6% of those who picked up Compostela between Friday 12th and Sunday 21st arrived from outside Spain, especially the Portuguese, Germans, Irish and Americans. This percentage varied in the days of greater affluence. Thus, from Maundy Thursday, were the majority of Spanish pilgrims, which in those days represented about 52% and came mostly from Madrid, Andalusia, Catalonia or Galicia. By itineraries, more than half of the pilgrims (57.72%) made the French Way. According to data from the Pilgrim’s Office, the second most traveled route during these days was the Portuguese Way, which was chosen by more than 23% of the pilgrims. Also noteworthy is the Portuguese Coastal Route, which climbs one position with respect to last year’s Holy Week. In 2019 it was the third most traveled itinerary and represented about 6% of the walkers who made the Way of St. James during Easter. It was followed by the English Way, the North Way, the Primitive Way, the Silver Route and the Winter Way. 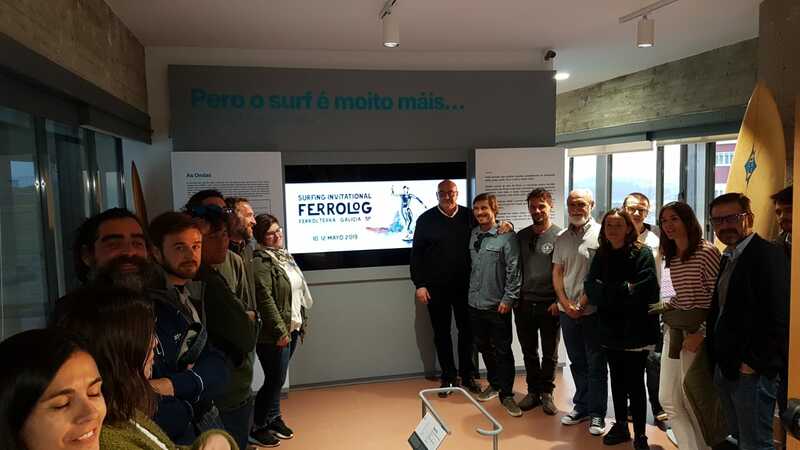 The Ocean Surf Museum hosted the official presentation of the Ferrolog Surfin Invitational, a sporting event of the surfing modality, long board, to be held between 10 and 12 May in Covas. The organizers of the event, Pablo Solloso, Remi Berhet and Carlos Pita, stressed the great reception that is having this activity which aims to place Ferrolterra in the center of surfing and the enormous international expectation that this meeting is awakening among fans of classic long board. The event will take place between the beaches of Esmelle, A Fragata and O Vilar but, in addition, the event includes a significant number of parallel activities with which we want to contribute to energize the territory. Thus, there will be a shape room, an amateur competition, gluders exhibition and the presentation of the Manifesto for the Protection of the Waves. The event will take place in the premises of the Camping As Cabazas in Cobas (Ferrol). 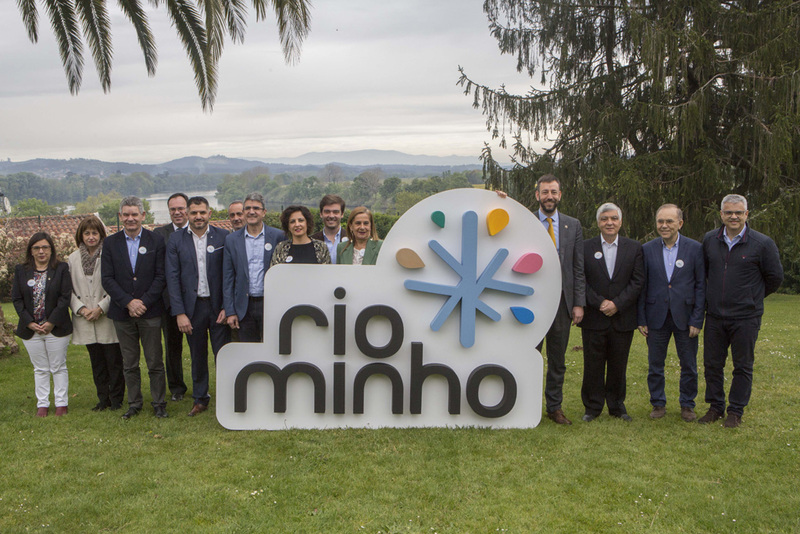 With the aim of combining synergies and working from both sides of the river Miño, 16 local councils and 10 Portuguese in collaboration with the Provincial Council of Pontevedra have launched their own tourism brand to promote cross-border tourism, “Rio Miño”, with the slogan “A river, dous countries, great experiences”, and which will serve to “value all the riches and heritage of the territory of the Rio Miño”, said the Deputy for Cross-border Cooperation of the County Council, Uxío Benítez. The brand responds to a vision “supra-municipal and cross-border tourism” in which each of the municipal councils and chambers that comprise the territory of the River Miño Cross-Border “are interesting in themselves and has much to offer, but when we add, we get a unique, original and different destination that puts us at the forefront of tourism today and makes us stand out from the rest,” explained Benitez. For its part, the president of the Provincial Council of Pontevedra, Carmela Silva, stressed that the birth of this mark is a historic milestone and stressed that the river Miño should not be a border if not a union, “we have an obligation to this generation and the coming to maintain this cultural heritage, linguistic, historical, economic and social that we receive and we must publicize. 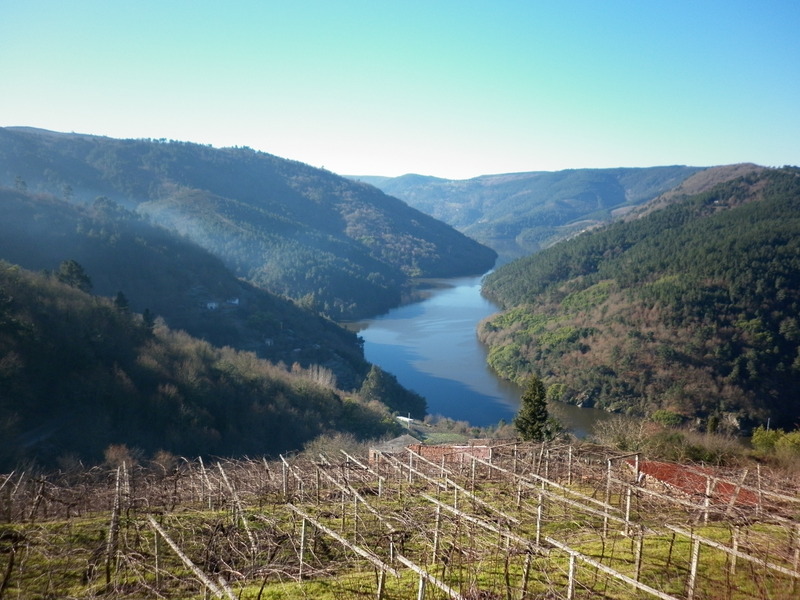 The president of the Municipal Chamber of Vila Nova de Cerveira and vice director of the AECT Rio Minho, Joao Brito Nogueira, said that “the river Miño has what can be called a perfect symbiosis that deserves to be shared with everyone and this brand will provide more competitiveness, attractiveness and connectivity. The Councillors for Rural Affairs, Economy, Employment and Industry and Culture and Tourism met with the representatives of the wine regulatory councils and the Wine Routes. The Xunta consensúa with the sector the objectives to advance in the plan of territorial dynamization of the five denominations of origin of the wine. Under the maxim of cooperation between administrations and with the tourist sector, the aim is to improve the positioning of Galician wines as a whole, boosting the tourist offer in the production areas through the future strategic plan for territorial dynamisation of the five appellations of origin of Galician wine. Galicia is known for its gastronomy and to link it to its territory is fundamental to economically promote these areas”, highlighted the Councillor for the Rural Environment, José González, who recalled that the wine sector involves more than 13.The Minister of Economy, Francisco Conde, also pointed out that the wine sector involves more than 13,000 viticulturists and more than 460 wineries that produce an estimated value of more than 206 million euros in the market, in addition to being the most exporting sector of the Galician economy. In this area, he recalled that until next May 16 is open the first call for Business Factory Food, the accelerator of the agrifood sector that seeks to promote new projects that bring innovative ideas in this area. In order to achieve these goals, the plan will develop a series of actions based on the development of socio-economic indicators, from demographic indicators to those related to employment or added value, among others. A study of the wine value chain and the tourism sector will also be carried out, as well as a detailed analysis of the natural, cultural and landscape heritage. For his part, the Minister of Culture and Tourism stressed the Galicia Sabe Strategy, a new roadmap that will help define priorities and plan the activity of this type of tourism in the next four years. The aim is to promote a model of sustainable and responsible development through five strategic lines. These include the recognition and protection of Galician gastronomic culture; the stimulation of knowledge, training and R&D&I; the promotion of products and lines of work in food and wine tourism; the renewal of marketing and communication; and the creation of a governance model. In short, as Román Rodríguez pointed out, Galicia Sabe will facilitate the rapprochement between the primary sector and tourism and will also serve to promote rural tourism with a seasonally adjusted model that is committed to the environment and the territory.